The many Travis Audubon field trips I have been on over the years have definitely helped me become a better birder, and I enjoy helping newer birders discover the pleasures of bird watching. 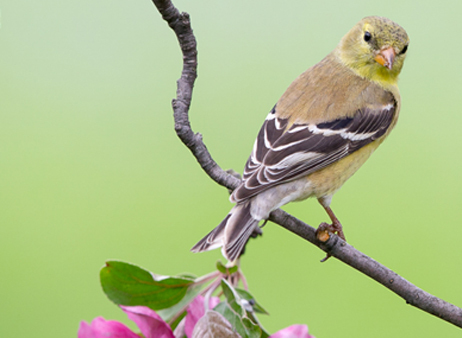 One of my favorite things to do is give talks about Austin area birds, and how to attract them to yards, greenbelts and parks with native plants. On field trips I enjoy pointing out various native plants that are bird favorites but, no, I don’t know them all. I love being a field trip leader because it’s a great way to give back to TAS for all the great classes and field trips I’ve been on that have fed my love of birding. I’m also motivated by the enthusiasm and joy expressed by participants for just being outdoors and seeing our beautiful central Texas birds. What in the world is more fun than being outside all day spying on birds? Being a field trip leader allows me to do that with fun, interesting, and enthusiastic people. I love playing an active role in an organization that has brought and continues to bring such richness to my life. Thank you Travis Audubon! I enjoy spending time with the kind of people who bird. They are invariably friendly, eager to learn and to teach, and to simply enjoy an outdoor experience. Field trips are the heart of Travis Audubon! 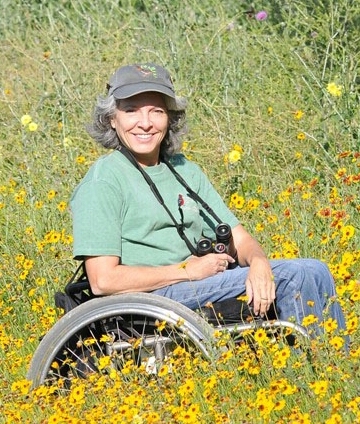 Celeste Treadway is a small animal veterinarian, and has had a lifelong interest in birds, wildlife, and conservation. 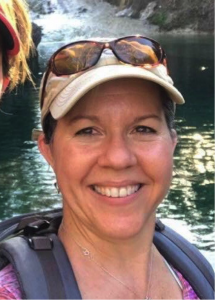 She birded casually for most of her adult life, but became much more active in birding in 2015, when she hosted her first Birdathon event to raise funds for Travis Audubon Society. Since retiring from her veterinary practice in 2017, she’s enjoyed having more time to dedicate to birding and TAS. She loves spending time with other birders during field trips—she thinks birders are just the nicest people! 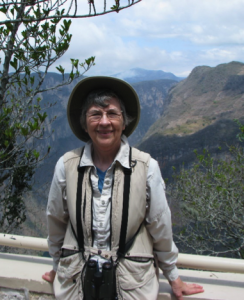 She volunteers with the Field Trip Committee, and with Golden-cheeked warbler surveys at Baker Sanctuary. Her very favorite birds are the Eastern phoebes and Golden-cheeked warblers that nest every spring on her property in the hill country. Justin has been birding for over two decades after an intense interest had been sparked by birds such as the Baltimore Oriole with it’s gaudy orange-and-black plumage and the Wood Thrush with it’s rich and rolling song. Since then, he has become borderline obsessed in his passion for and pursuit of birds, both locally and abroad. For Justin, birding is much more than mere recreation but a pseudo-scientific endeavor, intently documenting and studying species’ life histories including their identification, status and distribution, and ecology. Fortunately, he gets to spend a lot of time out in the field across a broad swath of Texas as part of his work in wildlife consulting. He holds a Bachelor’s degree in Biological Sciences from Louisiana State University and a Geographic Information Science certificate from Texas Tech University and would like to complete a higher-education degree in the near future. However, in the meantime, he has been working towards becoming a Texas Master Naturalist with the Capital Area Chapter. 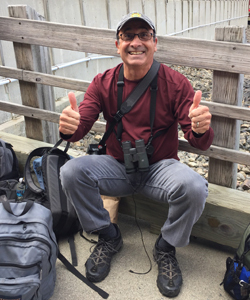 I’ve been a birder for about 30 years, served on the Travis Audubon Society Education and Field Trip Committees, and taught Beginning Birding and Waterfowl Identification Classes for TAS. I really enjoy birding and have led numerous field trips in Texas and beyond. 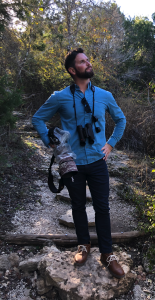 As coordinator of the new series of field trips focusing on Texas State Parks, I want to encourage birders of all skill levels to get out and enjoy the variety of parks all over the state. Ever since identifying my first Dark-eyed Junco nearly 40 years ago in my parent’s backyard, I have loved watching birds. I also love teaching people about birds and nature, especially those who are new to birding. As a TAS field trip leader, I enjoy leading “regular” walks focused on identification, as well as experiences which are a little more out-of-the-box, such as “Birds, Bats, & Butterflies” and “Mindful Birding”. I want my walks to be welcoming, laid-back, and interesting so that everyone has fun learning and birding together!